Congratulations to tour winners Solange T. and Timothy and to host winners Iron Canuck and The Avid Reader. 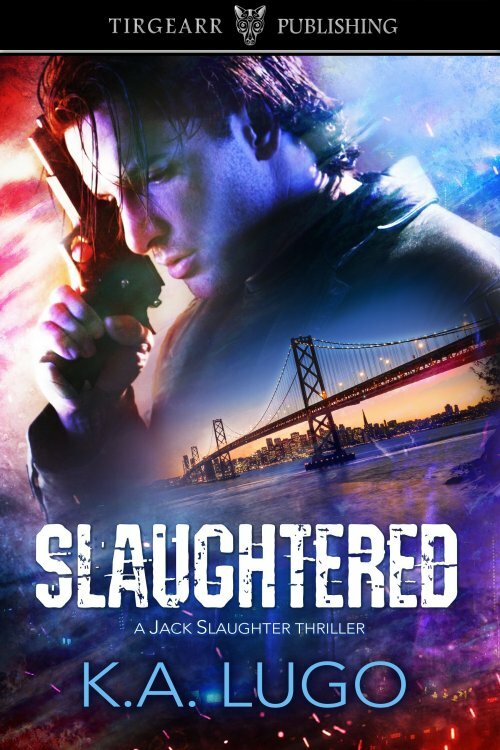 Goddess Fish Promotions is organizing a Virtual REVIEW ONLY Tour for Slaughtered by KA Lugo, a 240 page Thriller available now from Tirgearr Publishing. The tour will run every Wednesday for 4 weeks starting on March 20, and the book is available in PDF format. KA Lugo will be awarding One signed hard cover copy of Slaughtered (worldwide giveaway) to a randomly drawn winner via rafflecopter during the tour, and one House Tirgearryen T-shirt (worldwide giveaway) to another randomly drawn commenter via rafflecopter during the tour., and a House Tirgearryen T-shirt to a randomly drawn host (worldwide giveaway). Because this is a review tour, Goddess Fish Promotions will award a $5 Amazon GC to a randomly drawn host. March 20: Archaeolibrarian - I Dig Good Books!